A woman who has Asperger’s syndrome was “forcibly removed” from a screening of her favourite film by cinema security staff for “laughing too much”. Tamsin Parker, 25, had been watching western The Good, The Bad and The Ugly at the British Film Institute (BFI) on London’s Southbank on Sunday. Many cinema-goers walked out in protest at the “disgusting” way she was treated by some audience members and staff. The BFI has apologised and said it “must do better”. 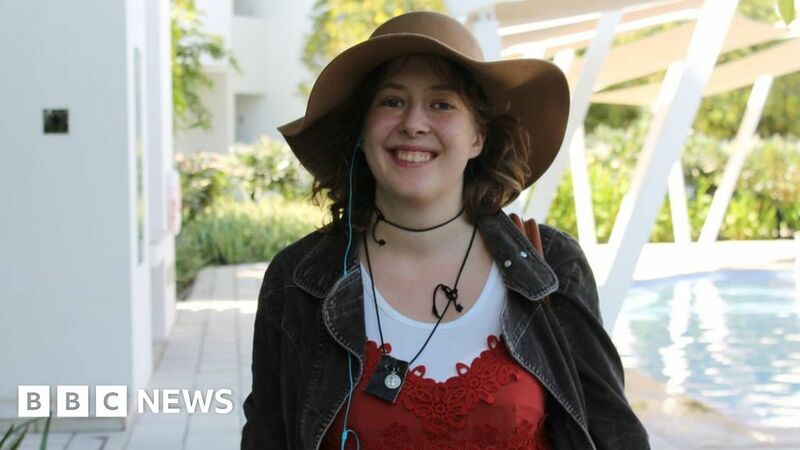 Lydia Parker, Tamsin’s mother, said her daughter – who was celebrating her 25th birthday – was in “floods of tears” when she picked her up from the security office. She said she was “shocked and disgusted” about the way Tamsin was “humiliated”. “There’s clearly a huge lack of awareness about people with autism,” Mrs Parker added. She said her daughter, who is an animator, had been “so excited” about the screening. The 1966 film means a lot because, as Ms Parker explained in a video she produced, she identifies with one of the characters. Am shaking with anger. That poor, poor woman. Just a little bit of empathy and everything would have been fine. Such naked intolerance. In the middle of London. Disgusting. Lloyd Shepherd, 51, who was at the screening with his son, said Ms Parker laughed very loudly at the “amusing bits” of the film but that it was never “inappropriate”. The novelist said some audience members began getting “uptight” about the noise and spoke to staff. He said one man then shouted abuse at Ms Parker, who was with two friends. Asperger’s is a form of autism and people with the syndrome can find social relationships and communication difficult. Why shouldn’t I be autistic and a student? Ms Parker, from Cricklewood, north-west London, was “incredibly upset”, Mr Shepherd said. He added: “People were applauding the guy who abused her, and they applauded when security took her out. I waa there too and found it sickening. A very unfortunate and uncomfortable situation. I would like to say that having returned later after calming down, I spoke to the manager and believe she was in a very difficult situation, still 100% not fair what happened to that lady. The BFI said it was “sincerely sorry” and would look into training staff to be more sensitive. In a statement, it added: “In what was a challenging and complex situation, we got it wrong. Mrs Parker said security staff were “sympathetic” once they realised her daughter had Asperger’s. But she said her daughter “shouldn’t have to check in” with staff in order to avoid such a “horrible experience”.